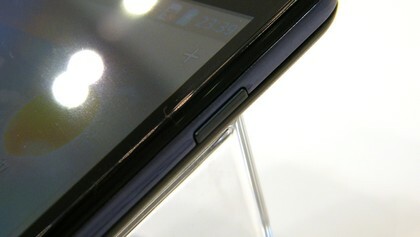 LG reckons the Optimus L7 II will retail for around £150-£160 (around $225-$240/AU$220-AU$235) SIM free, with contract prices likely to be around the £15 – £20 per month mark. 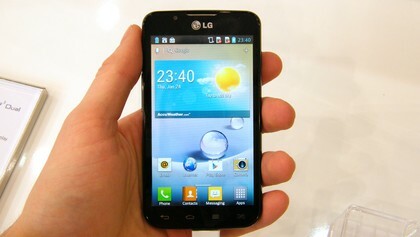 At first look the LG Optimus L7 2 could be mistaken for a premium handset thanks to its smart design, with the rounded corners reminding us a little of the Samsung Galaxy S3, only not quite as large. Pick it up and you’ll immediately recognise that relatively cheap plastic feel and the lack of any significant weight goes further to reveal this isn’t a top end device. It’s still comfortable to hold though and an even balance makes it easy to manipulate in one hand, although we would have preferred the back to be slightly more curved to give a snugger fit in our palm. 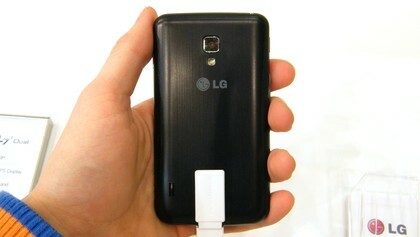 There’s a power/lock key on the right side of the handset, while on the left you get a volume rocker switch and an additional quick key – all of which are easy to hit whether you’re holding the Optimus L7 2 in your right or left hand. It’s a useful feature to have and one we reckon we’d use a lot if it was on our current smartphone (currently a HTC One X, since you ask). 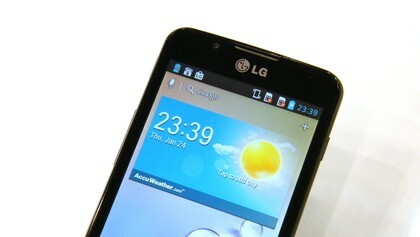 On the front of the LG Optimus L7 2 there is a 4.3-inch IPS display with a relatively mediocre 480 x 800 resolution, but it’s bright, clear and perfectly functional. 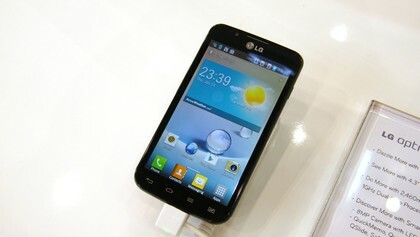 There’s a 1GHz dual-core processor and 768MB of RAM to run the action on screen, which consists of the Android Jelly Bean operating system. 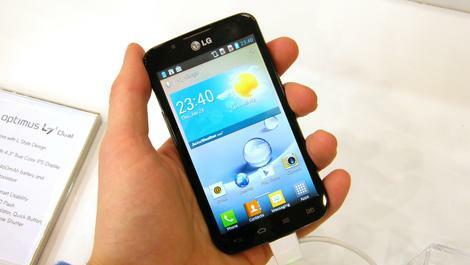 Everything runs without a hitch and while it may not be as slick and speedy as the top of the range handsets, the LG Optimus L7 2 has a pleasing user experience. 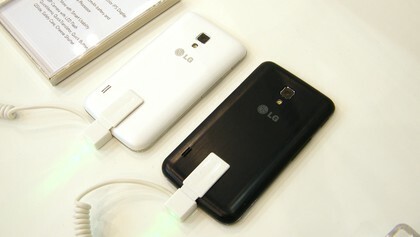 In terms of LG specific apps the Optimus L7 II comes equipped with Quick Memo which allows you to draw or write on top of any screen you’re currently viewing, just in case you need to jot down a quick message. In online mode you’re able to convert whole sentences to your native tongue, but if data connection evades you the offline mode will still translate single words. 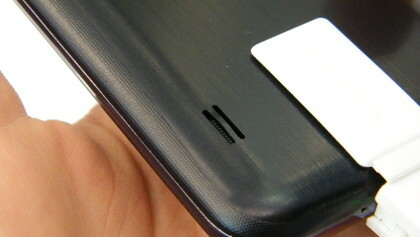 There’s only 4GB of internal storage on the Optimus L7 2 which is a little disappointing, but luckily LG has included a microSD slot under the back cover allowing you to expand your memory options. 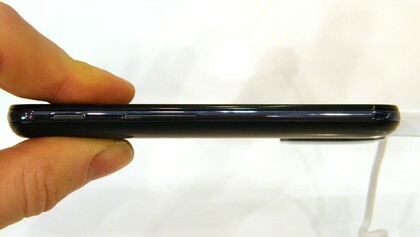 Also under that back cover is a 2,400mAh battery which should hopefully give you a decent amount of life, but we’ll put that to the test during our in-depth review. 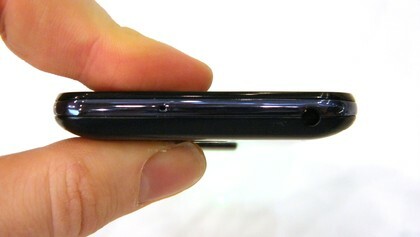 Round the back you have an 8MP camera, which is impressive at this price point, accompanied by a single LED flash while on the front there’s a VGA snapper for video calls. Shutter speed, as with the other two L-Series handsets, is a little sluggish on the Optimus L7 2 but the amusingly named "Cheese Shutter" once again doesn’t fail to bring a smile to our face as we talk to the phone to take a picture. 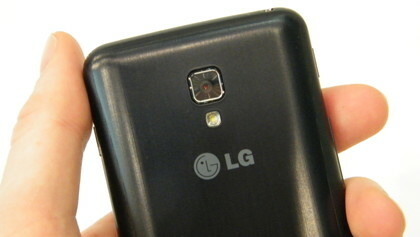 Image quality is pretty decent, as you’d expect from an 8MP snapper and in the camera department at least the Optimus L7 2 can certainly challenge the devices in the tier above it. 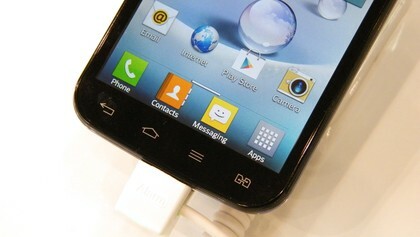 We hope it was due to the congested Wi-Fi network the handset was connected up to, but the jury’s out until we put the handset through our thorough review process.